Visual Lure was recently contracted to design a website for a St. Louis Metro East trucking company. We updated and modernized their logo and now we are exploring design options for their new website. Below is one of our proposed home page designs. Check back soon for updates and the launching of the new website. 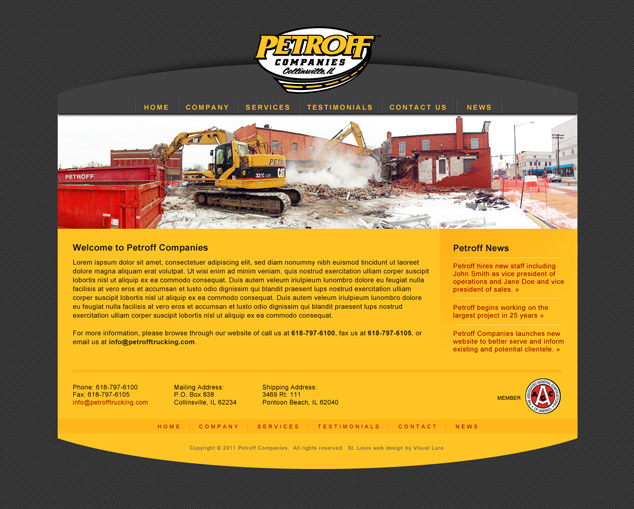 UPDATE: The new Petroff Companies website has launched. Check out the new website here: www.petrofftrucking.com.